Pupils may gain admission to Bromsgrove School in most year groups. Main intake points are at Kindergarten, 7+, 11+, 13+ and 16+. Admissions in the course of an academic year are by special arrangement with the Assistant Head (Admissions) and entry into Year 10 is not normally possible due to curriculum constraints. We encourage parents and children to visit the School by attending one or our regular Open Mornings and we also welcome individual visits. Taster days are available for boarders and day pupils. Open Mornings for all sections of the School are held at regular intervals throughout the year. These events offer the opportunity to meet senior staff from the individual school sections which interest you. We also offer a tour of the School and the opportunity meet other staff and pupils. Please contact Mrs Amanda James for further information by email or submit an online visit request here. All candidates sit our entrance examinations although at 13+ we do accept Common Entrance. In the case of girls and boys entering the Sixth Form from other British schools, offers and subsequent admission to the School is based on interview and GCSE results. Parents seeking the admission of their sons or daughters are asked to complete the appropriate application form which can be found within our admissions information booklet or can be downloaded from the website. The Registration Fee of £100 is payable at the same that Registration Forms are submitted. When a place is offered to an applicant, parents are asked to confirm acceptance and to send an acceptance fee. Our Admissions team are always happy to give advice and help regarding any application to the School. Bromsgrove School provides a high-calibre education at a very competitive cost for children of personnel in HM Forces. Forces Discounts are automatically awarded on joining the School and we ensure that fee contributions are no more that 10% of the net fee throughout the School. Please contact the Admissions Office for more information about Forces Discounts or view our document here. Prior to entry, children are invited to spend a morning in school with their prospective year group, during which informal assessments will take place. Children seeking admission into Year 2 will also be assessed more formally in Mathematics and English. This trial morning provides an opportunity for the children to experience life at Bromsgrove Pre-Preparatory and Pre-School and to get to know the children in their future class. If a child is moving from another school they will be asked to bring examples of their current work in Mathematics, English and Reading. We will also contact the child’s school for a written report about their academic achievements and behaviour. Children may join the Pre-School at the beginning of the term in which they turn three. Children are required to attend a minimum of five sessions per week to ensure they have access to the full range of the curriculum provided. However, sessions can be taken in any combination of full / half days regularly each week, if places are available. Almost all Pre-School pupils continue through to the Pre-Preparatory School. Confirmation of places is made after discussions between the Heads of Pre-School and the Headmistress, taking issues of behaviour into consideration if necessary. The Heads of Pre-School can advise on the transfer procedure. Children join the Reception class of the Pre-Preparatory section in the September following their fourth birthday. Pupils may join the School in other year groups, subject to availability of space in each year group. Parents are encouraged to visit with their child before registering for a place. Prior to a place being offered, your child will be invited to spend a morning of informal assessment at the Pre-Preparatory & Pre-School and, where appropriate, a written report from the child's current school or nursery will be requested. It is expected that children will transfer to Bromsgrove Preparatory School but this is dependent on achieving a certain standard of work in Literacy and Numeracy. Issues of behaviour are also considered, where appropriate, during consultation between the Pre-Preparatory & the Preparatory School, prior to transfer. All pupils seeking Admission to Bromsgrove School are required to sit our Entrance Examinations. For Prep School Entrance Tests we use NFER standardised tests, practice papers can be purchased online. Candidates wishing to apply to the School via the Common Entrance Examination at 13+ will also be considered. Please ensure the student is formally registered. Further details are available from the candidate’s own school. There is much competition for Scholarship places but they offer only a small amount of financial help - the reward is through recognition of the Scholars' contribution to their area of excellence within the School. Academic Scholarships are offered at 11+, 13+ and 16+. 11+ and 13+ candidates whose performance in the Entrance Examinations is deemed worthy of consideration for an Academic Scholarship will be invited back for interview by the Headmaster and Senior Staff. There is no scholarship application form for 11+ and 13+. 16+ Academic Scholarship candidates sit Scholarship Examinations. Please complete our Online Scholarship Application Form if you would like to apply. Music Scholarships are offered at 11+, 13+ and 16+. Art Scholarships are offered at 13+ and 16+, Textiles Scholarships are also offered at 16+. Drama Scholarships are offered at 13+ and 16+. Sports Scholarships are offered at 13+ and 16+ assessment days are held prior to pupils sitting entrance examinations. Talented sportsmen and women are invited to apply to attend the assessment days but all candidates are required to meet the necessary academic standard for entry to the school. The Directors of Sport can give more information. Foundation Scholarships are available at 11+ and 13+. These awards only operate in respect of day places and preference is given to candidates from Bromsgrove and the surrounding area. Foundation Scholarships are awarded to very able pupils in need of financial assistance. The maximum award is 50% of the day fee, which can be augmented by a means-tested bursary. Candidates wishing to be considered for a Foundation Scholarship should apply in writing to the Assistant Head in charge of Admissions. Bromsgrove offers a generous provision of means-tested bursaries and it is possible to apply for both a scholarship and bursary at the same time. Admissions Bursaries are offered at Years 7, 9 & 12 entry. Whilst assessing the bursary, all relevant sources of income and capital assets are taken into account. An element of your capital will be included in our assessment. Although each application is assessed individually and can depend on circumstances, as a guideline, a full bursary may be given to a family with a gross income of £25,000 or less, and then a sliding scale is in operation up to approximately £75,000. Please note however, that if school fees are being paid for siblings, these will be taken into account whilst assessing the award and could reduce assessable income. Prospective parents should indicate their interest in a bursary on the School Registration Form and then complete the relevant bursary forms. All bursary applications need to have been received by the first week in January and bursary awards are normally made with the offer of a School place by the end of February. Once awarded, the bursary will be reviewed on an annual basis. Parents seeking the admission of their sons or daughters are asked to download and complete the PDF Registration Form. We do require a completed Registration Form and payment of the Registration Fee before we can proceed to offer a place. 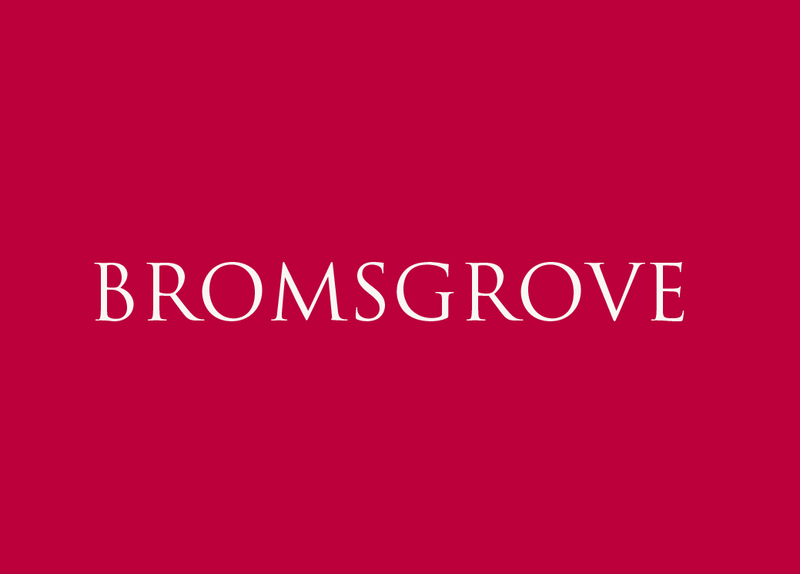 If you need any more information about completing the Registration Form please do not hesitate to contact our Admissions Coordinators on 01527 579679 or email admissions@bromsgrove-school.co.uk who can send you relevant information. Click here for our latest fees for the current academic year and for details of how to pay.